With stockholder voting on its 11-member board delayed until next month, Qualcomm has named a brand new chairman of that board. Replacing Paul Jacobs, who was Qualcomm's CEO from 2005 to 2014, and its executive chairman, is Jeffrey Henderson. On the company's board since 2016, Henderson also worked at Cardinal Health Inc. as finance chief. He will be given the title of non-executive chairman. Jacobs will remain on the chip maker's board. With Qualcomm still the object of Broadcom's desires, there is thought that by adding a non-executive independent chairman to the board, the company's stockholders might feel that the board isn't led by a company insider whose father was a co-founder of the company. If all six of Broadcom's nominees wins election to the board, the company would be able to rubber stamp a merger approval. But even if that happens, the letter released earlier in the week by the U.S. Treasury's Committee on Foreign Investment in the United States (CFIUS) made it clear that the U.S. Treasury has problems with an acquisition of Qualcomm by what is currently a foreign company. Broadcom Ltd. is based in Singapore, although it is expected to become a U.S. company registered in Delaware on May 6th. And while CFIUS said that it is worried about Qualcomm's assets being turned over to a foreign company, just yesterday Broadcom released an infographic pointing out how Qualcomm has connections with both the Chinese government and certain Chinese manufacturers. 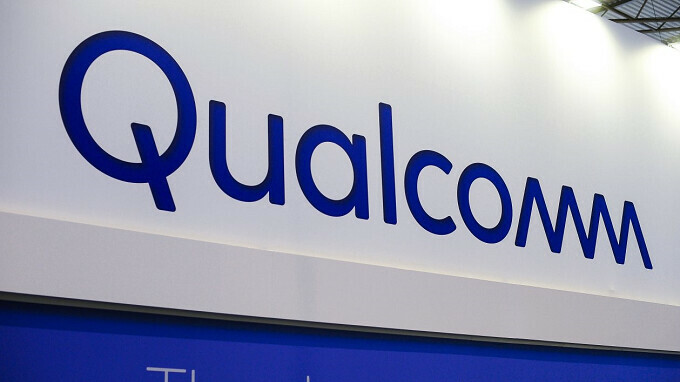 The idea of Qualcomm being purchased by a foreign firm during the upcoming transition to next-gen 5G connectivity has negatively impacted lawmakers, some of whom have railed against this deal. That led Broadcom Chief Executive Hock Tan to write a letter to Washington D.C. lawmakers stating that a Broadcom acquisition of Qualcomm would lead to a "focused and stronger champion for sustained United States leadership in 5G than a standalone Qualcomm." Broadcom says that its board is made up of mostly American citizens. In a related note, today Qualcomm extended its tender offer for NXP Semiconductors to March 16th. Qualcomm has been waiting for more than a year to nail down this transaction, and needs only Chinese regulators to approve it after getting the green light from other countries. Last month, Qualcomm raised its bid for NXP from $110 a share to $127.50, a move that made Broadcom drop its offer to buy Qualcomm from $121 billion to $117 billion. The current bid is $79 a share for Qualcomm. Wall Street does not see a deal happening between Qualcomm and Broadcom. Qualcomm's shares closed the week at $63.03, well off the bid price, even after a 2% rally on Friday. The company is known for its Snapdragon line of mobile chips found in a vast majority of smartphones. This Han Tock is only going to make Broadcom an American company on May 6, only to pretend to be an American company. Once it has Qualcomm, then it will move its pretend headquarters back to Singapore again, and be a Chinese company again. Have nothing against forein companies. What do we get from crraple? 0$ tax into the budget. Singapore is almost the complete opposite of China! In fact, I'd say Singapore is more innovative, more humane & much more transparent than this US wasteland! More humane? Isn't Singapore where caning is used as a sentence for many offenses? How is that more humane?